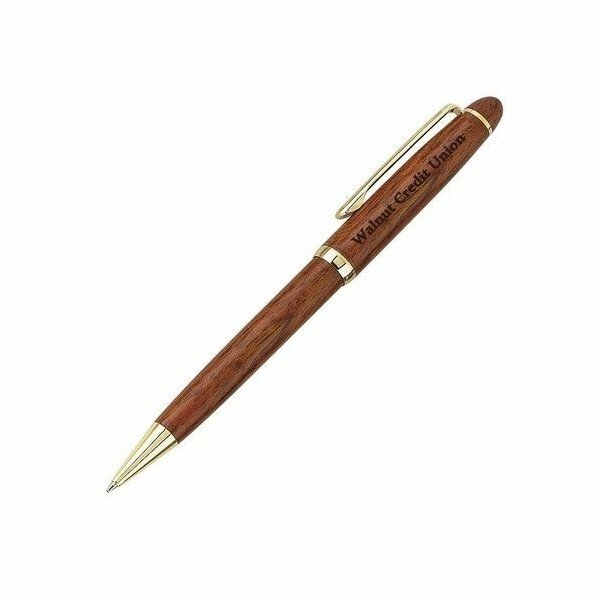 Wood coated metal twist-action ballpoint pen with gold accents(brass). these were very comfortable and sturdy to be honest, on time delivery and product quality is important. the product is attractive, Imprint was excellent. Our residents love them. Good Torch, Good printing, Our logo design looks perfect! All who received this are content with just how much can be put in a pocket. Overall it is fine, I am happy, it is great for me.